Shovel Hollow Back Round ideal for digging holes, transporting earth, planting or uprooting trees or shrubs. Garant Garden Care square point shovel with hollow back tempered steel blade and forward-turned steps. Its sturdy hardwood handle and ergonomic D-Grip make it ideal for transporting small quantities of earth, sand, top soil, dirt and other bulk materials. 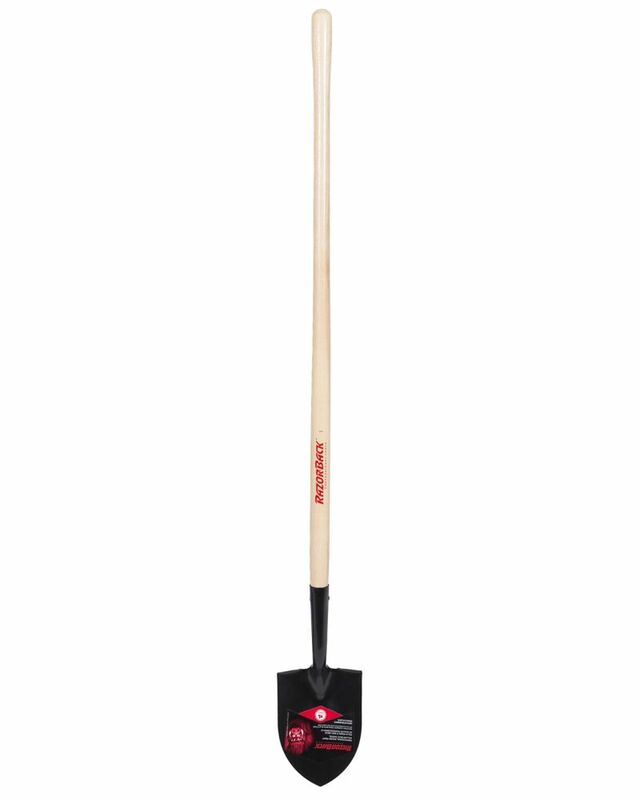 Razorback Concrete Shovel Shovel Hollow Back Round ideal for digging holes, transporting earth, planting or uprooting trees or shrubs.